Afentis Forensics is proud to have engineered a number of innovative digital evidence and investigative solutions – covering a variety of social media/networking platforms, webmail facilities, cryptocurrency, forensic imaging management, and secure preservation of cloud storage accounts. These toolkits were utilised by over four thousand Police labs and eDiscovery professionals from around the world; prior to being discontinued in mid 2016. No new licences are being issued nor will support be provided for evaluation/trial editions that may have been previously downloaded. Thank you for your interest and former custom. 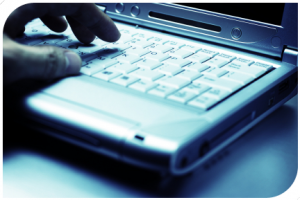 Please contact our firm if you have a digital evidence investigative or forensic requirement. All our investigations are conducted within a physically and electronically secure environment and when undertaken at client premises we strive to conduct our work with minimal disruption to your business. Computer forensics examinations are conducted in strict compliance with the guidelines issued by the Home Office Forensic Science Regulator and the Association of Chief Police Officers for managing digital evidence. Our systematic approach to digital media investigations can significantly reduce the cost and time of an internal investigation (and of any court-ordered disclosure). Our forensic specialists are completely independent and accept forensic investigation and expert report instructions on behalf of both the Crown Prosecution Service, Defence Solicitors and corporations.